In the early years of working in the law enforcement trenches as a forensic artist, I never dreamed that it would lead to so much television work! In 1990, I was first approached by America’s Most Wanted. They developed a feature story about my work which in turn resulted in a consultant relationship lasting over two decades. This proved to be the genesis for collaboration with numerous true-crime, primetime and documentary television programs. On occasion, I do on-camera analysis and commentary for network news programs. This usually relates to high-profile criminal investigations in the news where forensic art has played a role. Television writers regularly seek input on script scenarios regarding faces and forensic art techniques. Depending on the needs of the production, I can function in front of the camera, behind the camera, and as an on-set consultant coach for actors. I sometimes prepare forensic art for use as props in advance of a scripted production and may also travel to filming locations. On occasion, my hands are filmed actually building the artwork then edited among shots of the actors’ hands. It’s demanding work but it’s also a lot of fun! 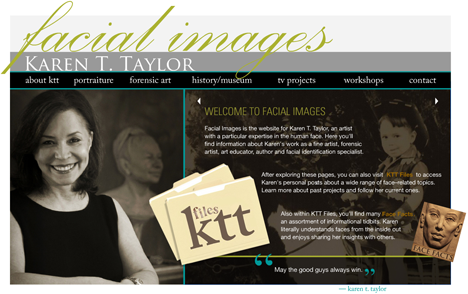 I view all of these media projects as an opportunity to encourage accurate depiction of forensic art methods in the public media. 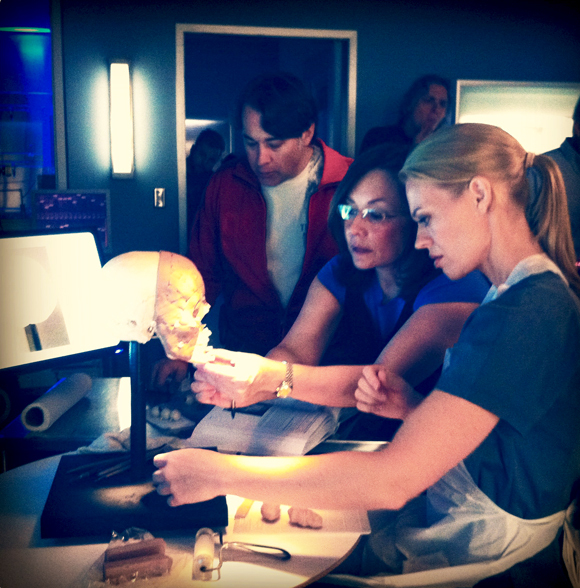 On the set of ABC drama Body of Proof with producer Matthew Gross and actress Jeri Ryan.